Published April 25, 2014 at 2000 × 1999 in Press Releases. 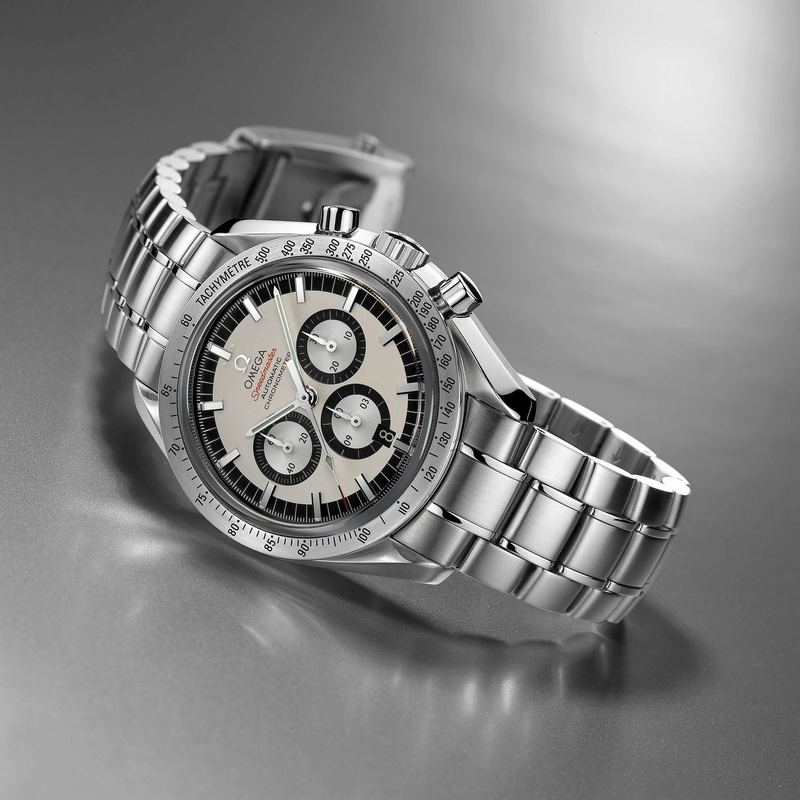 A collection of 3 sports chronographs in recognition of Omega ambassador Michael Schumacher’s historic achievements. The Legend collection is fitted with Omega’s prestige chronograph movement, Omega calibre 3301, a self-winding movement with column-wheel mechanism. It has a power reserve of 55 hours and official COSC chronometer certification. The stainless-steel case measures 38.8mm in diameter and has a double-gasket crown that helps to guarantee water resistance to 100 metres/330 feet. This model is distinguished by its sporty silver dial with countersunk two-tone silver and black totalisers, white minute track on a black outer minute circle, with the Speedmaster name printed in red on the dial. It bears the familiar rhodium-plated hands that are found on the legendary Speedmaster Professional “Moon Watch” and a tachymeter scale on the brushed steel bezel. The dial is protected by a scratch-resistant anti-reflective sapphire crystal, the movement by a screw-in case back with the special inscription “Michael Schumacher The Legend Collection”.